I admit it. I hate being told what to do. So, even if it's an inanimate object, say, a book, written with the best of intentions, I am likely to scream and shout and pout rather than follow its directions. Other people, oddly enough, find directions comforting. So, I have been approached more times than I can remember by people who want to know just what kind of resources are out there for parents who enjoy guidance when teaching their children. As a consequence, I finally decided to put together a list divided into secular and religious options for complete curricula. Sonlight – Offers Christian homeschooling resources from pK to 12. Considered by many to be the best all in one curriculum available. My Father's World – Easy to use Christian curriculum featuring daily lesson plans for pK through 12. Abeka – Offers the option to purchase separate materials in a variety of subjects or the ability to purchase a complete student and parents kits for Nursery through grade 12. This is a Christian curriculum which teaches primarily through workbooks and print activities. Tapestry of Grace – This Christian unit-study, literature based curriculum incorporates information from the Bible in its coursework. The units are sold based on a 4 year spiral model. In addition to the regular curriculum, supplemental materials are also available. Ambleside Online Free Christian Curriculum – this Charlotte Mason inspired curriculum offers materials for K-12. Parents are given booklists and cursory instructions for how to use the materials. Alpha Omega Publications – Provides multiple options for Christian curriculum for homeschoolers, both print and online, from grades K-12. Many of these products are available through Homeschool Buyers Co-op. Bob Jones University Press – Christian curriculum offerings from DVDs to CDROMs to print to online learning opportunities in every subject for K-12. They also have a testing service to evaluate your child's proficiency. Calvert Education – An accredited Christian homeschool program for pK to 8 which has been in existence since 1905. Easy Peasy Homeschool – a free resource with links and lesson plans which allows you to school from K-12. Christian. Accelerated Christian Education (A.C.E. )/Lighthouse Christian Academy – parents can choose the level of support they would like to have as they select from the K-12 curriculum offered by the ministry. Memoria Press – Classical/Christian curriculum which offers lesson plans and print materials for Pk to 7th grade. There are materials for above 7th grade, but they are not sold as a complete curriculum. Also sells materials for Latin instruction (1st through 4th form) and rudimentary Greek. Covenant Home Curriculum – this Classical/Christian provider offers grade level kits as well as supplemental print materials for pK-12. In addition to the materials, each grade comes with a day by day scheduling guide and printable resources to aid grading and tracking student progress. The L.A.M.B. Company – offers 2 ways to purchase Christian curriculum: either through a customized service or selecting materials compiled for each grade level, pK-12. Home Learning Institute – 100 online courses for grades 5-12. Global Student Network – An umbrella school which offers access to online curricula for a fee. (about $400-$500 per year). Grants access to all in one programs otherwise restricted to schools like PLATO, Apex, Odysseyware and others. Also offers ACT/SAT prep and GED programs. The American Academy – an online hybrid course delivery option for high school age children. It combines self-paced study with the option to meet with teachers for guidance and assistance. Great Book Academy – This online charter school and great books program offers curriculum choices for Nursery school through grade 12. Link on Learning – Online lessons and units for K-8 and high school aged kids with diagnostics and assessments. Robinson Curriculum – Based on the concept that children excel when they are self-taught, this CDROM based secular curriculum developed by Dr. Robinson is created for K-12. Enki Education – Curriculum packets available for K-3 featuring a multicultural, holistic approach to education. Live Education – a Waldorf inspired curriculum for K-8 in which teaching packets are sold by grade level. There is an initial consultation fee of $35 which is deducted from the cost of the curriculum. Pearson Homeschool – More widely known for their textbooks, Pearson also offers a homeschool product line complete with lesson plans and teaching guides. Timberdoodle Learning Kits – Offering materials for baby to grade 12, Timberdoodle is best known for build your own curriculum materials. Nevertheless, they have created kits to satisfy those who would like more guidance. Core Curriculum of America – promises to make home schooling easy by developing customized curriculum packages based on the input they receive from both parent and child. They are affiliated with American Academy, which offers online home school courses to high school aged children. eTAP – Online instruction where your membership includes access to the curriculum for the entire family. Text, video and interactive materials for K-12. Lesson Pathways – Free online curriculum for K-5 which utilizes a unit studies approach in which subject matter is compiled into pathways. A2 Curriculum – a curriculum based on public domain works delivered to the user on CD along with plans which encourage the child to be responsible for his/her own education. Moby Max – A relatively new resource, MobyMax will soon round out its curriculum options with the addition of reading and writing. It is primarily aimed towards schools, and provides online instruction ranging from free to $79 a year for K-8. Time 4 Learning – Probably the best known complete online curriculum available to homeschoolers, T4L offers a newly expanded curriculum for pK-12. It features engaging interactive lessons and flexible levels so that students are always challenged. Acellus -- Conceived as a tutoring or remediation tool, Acellus evaluates student responses through an interactive environment and customizes courses to the need of each student - coupling comprehensive assessments with targeted video instruction in areas where deficiencies are identified. PLATO (Edmentum) -- Plato Courseware provides courses in a wide range of core subjects, electives, world languages, honors, and Advanced Placement® offerings. Courses consist of integrated assessments; including exemptive pretests that allow learners to forgo content they have already mastered and focus on the concepts that need additional work. Course-level assessments also include tests for each course module to ensure concept mastery. 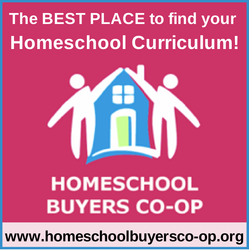 This prgram is only accessible to schools unless purchased through Homeschool Buyers Co-Op. Access to individual areas of study can also be purchased separately. Study Island (Edmentum) -- This online resource features short lessons, drills and games, short animated sequences, and printable worksheets. It offer math, language arts, science and social studies.Designed for K-12, this program is accessible to homeschoolers through Homeschool Buyers Co-Op.